Scores of books and articles have been published, addressing one or another aspect of the Islamic Revolution in Iran. Missing from this body of scholarship, however, has been a comprehensive analysis of the intellectual and ideological cornerstones of one of the most dramatic revolutions in our time. In this remarkable volume, Hamid Dabashi brings together, in a sustained and engagingly written narrative, the leading revolutionaries who have shaped the ideological disposition of this cataclysmic event. Dabashi has spent over ten years studying the writings, in their original Persian and Arabic, of the most influential Iranian clerics and thinkers.Examining the revolutionary sentiments and ideas of such figures as Jalal Al-e Ahmad, Ali Sharicati, Morteza Motahhari, Sayyad Abolhasan Bani-Sadr, and finally the Ayatollah Khomeini, the work also analyzes the larger historical and theoretical implications of any construction of the Islamic Ideology. 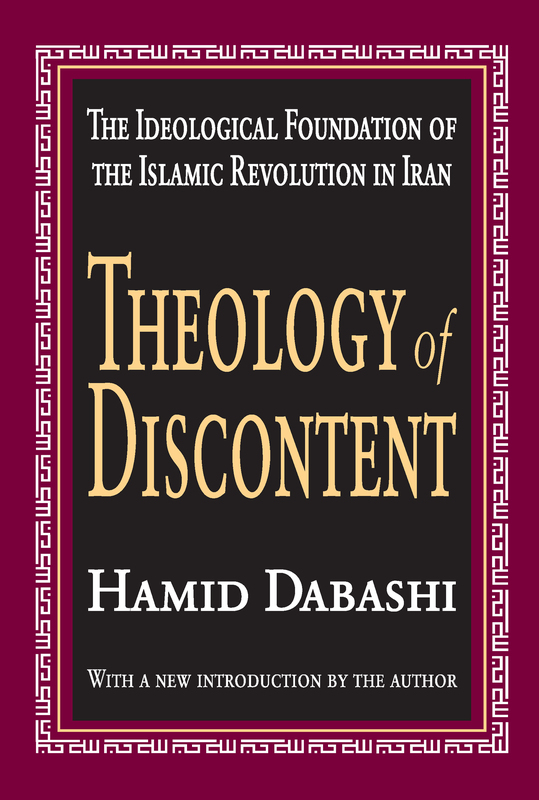 Carefully located in the social and intellectual context of the four decades preceding the 1979 revolution, Theology of Discontent is the definitive treatment of the ideological foundations of the Islamic Revolution, with particular attention to the larger, more enduring ramifications of this revolution for radical Islamic revivalism in the entire Muslim world.This volume will be of interest to Islamicists, Middle East historians and specialists, as well as scholars and students of liberation theologies, comparative religious revolutions, and mass collective behavior. Bruce Lawrence of Duke University calls this volume a superb and unprecedented study…. In brilliant figural strokes, he arrays EuroAmerican sociological theory as the crucial backdrop of a deeper understanding of contemporary Iranian history.